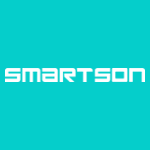 Employed as the Chief Technical Officer at Smartson who provides a Social Recommendation Platform for leading brands. Connecting consumers with brands and products on the consumers terms. I have a profound interest in technology, the application of technology and the use of the technology - especially in the web and mobile contexts. I have been programming in Java since 1998 and has a special interest in system architechture and integrations. Responsible for development and operation to enable publication in all digital publishing channels such as web, mobile and tablets. Participates in business development and strategic projects designed to further develop the business and to securely join that adequate technical support is available to the company. Personnel and budget responsibilities for staff developers and consultants. Responsible for maintaining the current systems that supports Smartsons business. I am responsible for the development of a new system for Smartson that will be focusing on streamlining the workflow and business processes both internally, to our customers and our users. The system will focus on automation, omni-channel distribution, measurability and enable analysis of large amounts of information.